Volkswagen Commercial Vehicles has launched an eight-month business mentoring initiative with YO! Sushi founder Simon Woodroffe OBE and in association with The Times. priceless mentoring from the former Dragons' Den investor. Businesses wanting to be considered for the initiative simply need to visit Volkswagen Commercial Vehicles' website and give an overview of their current business challenges, the steps that they are already taking to overcome them and a compelling reason why Woodroffe should work with them. Initial applications, which need to be made by March 13, can either be submitted as a 300 word entry or as a two minute video. A selection event will then take place later in the year at which 10 companies will pitch to Woodroffe and a panel of senior management from Volkswagen Commercial Vehicles and The Times, before five winners are chosen. Each business will then enjoy a month's worth of free mentoring by Woodroffe to help inspire, motivate and advise them through their specific business challenge. "Business is about people, and I'm looking for individuals with drive and passion. The people I want to work with are ambitious, have vision, and want to make real change. There's nothing like a bit of encouragement and that's what we hope to give," said Simon Woodroffe. 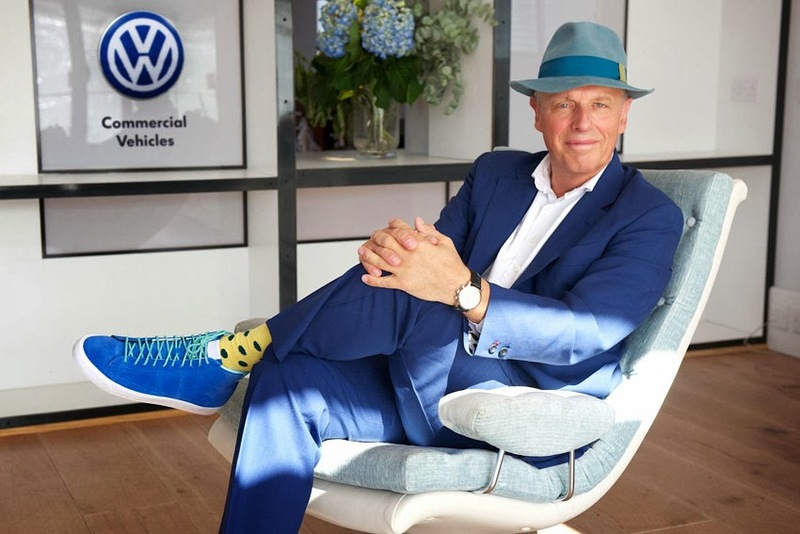 Alex Smith, Director of Volkswagen Commercial Vehicles said, "We understand the importance of strong business partnerships and the importance of offering our customers genuine business solutions and services which add real value. This partnership demonstrates our ongoing commitment to working in partnership with Britain's business owners."